VOLKSWAGEN MOTORSPORT 19" ALLOY WHEELS!!... FIND ANOTHER!! 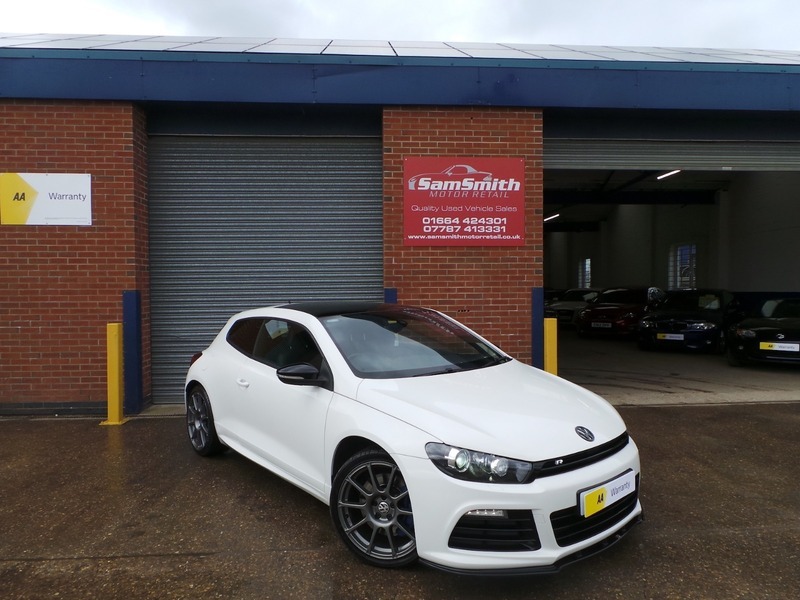 Back into stock is this stunning example of a VW Scirocco R! We have already sold this car once before to a very good customer of ours who has come back to buy from us again! The car is in stunning condition with a great Spec including 19" VW Motor sport alloys, fully leather heated seats, panoramic glass roof, rear parking sensors, xenon headlights and much more! Looks amazing in white with the grey alloys and backed up by full VW service history and nearly new tyres all round, this is not a car to miss!!! All of our cars go through a very thorough workshop inspection, get freshly serviced if needed and come with a 3 month fully comprehensive (parts and labour) warranty and AA cover. Every car we sell is HPI clear with certificates to prove. LOW RATE FINANCE DEALS AVAILABLE. Open 5 days a week and weekends by appointment. Please call for availability & viewings.